How's 2012 treating you so far? This year stands to be a good one for new beer releases and breweries coming to town, but if you find yourself listening to the Gin Blossoms and longing for beers of yore, Jubilation has a few for you. As of Sunday evening, Jubilation has 2008 and 2009 Flying Dog Gonzo Imperial Porter for $4.99 apiece. They also have the 2009 and 2010 vintages of Deschutes The Abyss Imperial Stout for $16.99. 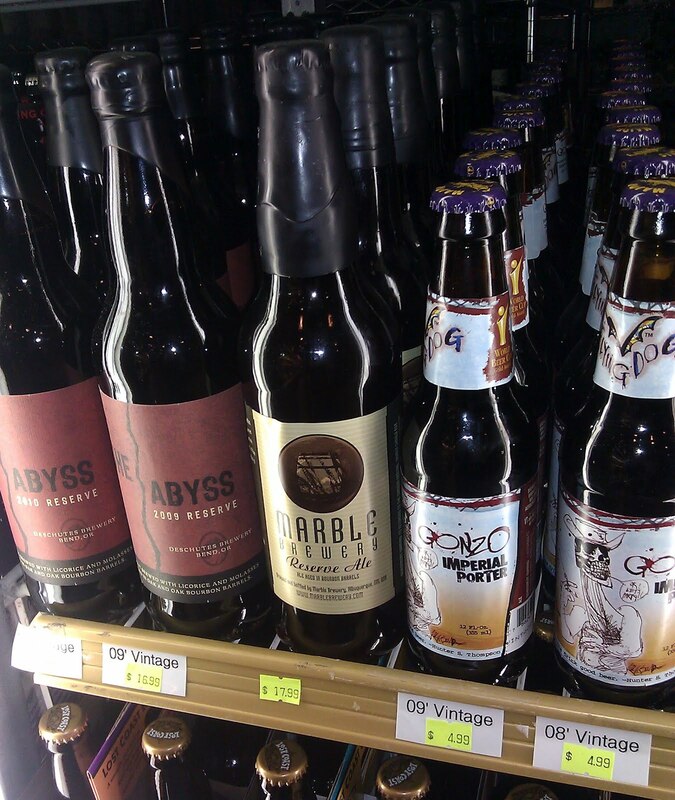 Finally, local Marble Brewery's Reserve Ale 2011 bottles are selling for $17.99 each. You may have noticed that all the prices are higher than the original retail prices, but you may also have noticed that you won't find any of these vintages in Albuquerque anymore. I guess the lesson for 2012 is to buy the beers you are interested in while they are still available...or to save your money to buy vintage releases in 2013. Justin just bought all the 08's of Abyss on Friday. Neener. I bought a case when it came out in 2008, so there. I bought three, I win.